Joan is one of our Tour Members for the Golden Oldies Mission to Fiji 2012. And what a wizz she is with her fundraising for mission projects we plan to visit while on the trip. 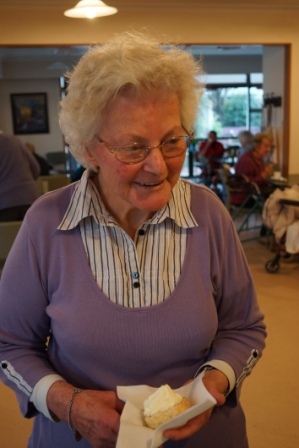 “I just wanted to sell some crafts I, and some friends had made, host some Devonshire teas at Archer among our residents, and raise awareness of our mission trip. The Archer Care Residents have also supported this cause, and together so far we have raised over Fj$1000.00! All going well, over the next 2-weeks we will increase this amount further”, says Joan. And Joan thanks her friends at Archer who have encouraged her, and pitched in to help with the craft making, serving the teas, and running the sales table.